Nexo is the World’s First Instant Crypto-backed Loans. Powered by Credissimo – A Leading FinTech Group serving millions of people across Europe for over 10 years. It is safe to say that sooner or later every cryptocurrency investor comes across the following dilemma — your crypto asset has increased significantly in value since you bought it and while you firmly believe it will continue to appreciate in value, you need cash to take advantage of an investment opportunity or to get a last-minute deal. Up to now, there weren’t any options apart from selling your crypto, which meant missing out on any upside potential. The well-known quote ‘every problem is an opportunity in disguise’ is one way of explaining how the Nexo idea came to be. The solution that we developed is simple, yet elegant and efficient. 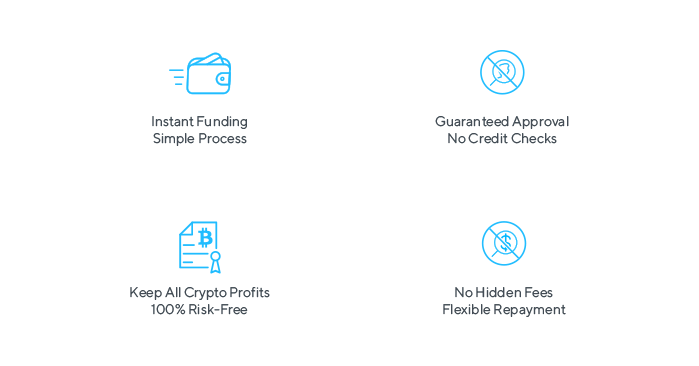 Rather than selling your digital asset, Nexo offers Instant Crypto-backed Loans, backed by crypto assets — much like a mortgage or a car loan. The processes are fully automated and very user-friendly, all based on the team’s 10 years of experience in online lending. Nexo is powered by Credissimo, a leading European FinTech Group that has been a key player in Online Consumer Lending and E-commerce Financing for over 10 years. Having serviced over a million customers in that period, Credissimo has reached the Top 10 of the European FinTechs and has been consistently awarded for its excellency, most recently bringing home two awards from Forbes Business Awards 2017. The perpetual drive for innovating is encoded in the team’s DNA. By launching Nexo, we are now implementing our know-how to the new digital assets economy. This is the reason why people believe in our ability to deliver what we promise. The unanimous feedback from the wider crypto community has been that a service like Nexo’s is long overdue. One only needs to look at the significant portion of Bitcoin wallets that do not have any outgoing transactions to grasp the fact that crypto enthusiasts on all levels are fond of their digital assets and have much higher price targets. An instant loan secured by digital assets are a necessity for everyone in the community — the crypto miner, who has to pay electricity bills and buy new hardware equipment; the everyday investor who would love to book that lavish trip; the crypto fund that needs leverage on its assets; a company that has completed an ICO and now needs working capital to develop its project. All these different groups and many others have one thing in common — with the current price dynamics in crypto, they are better off getting themselves a loan rather than selling them. 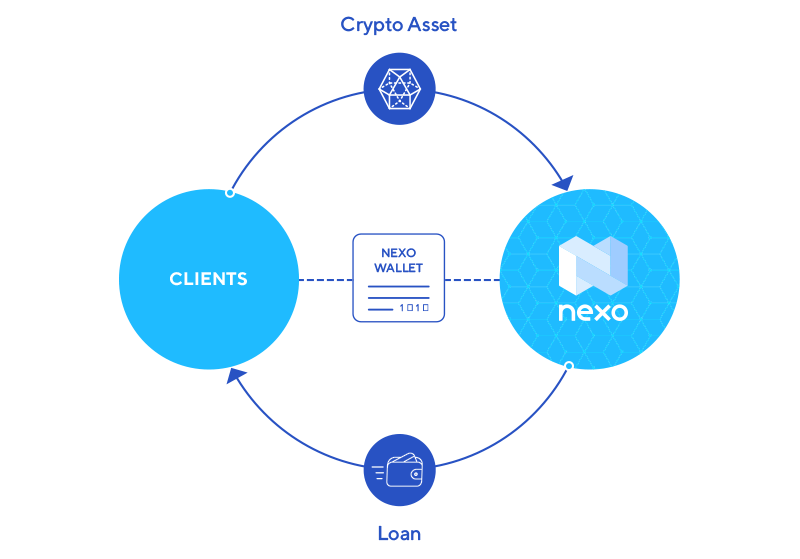 The Nexo offering is straightforward — once a client transfers his crypto assets to his free Nexo Wallet, he instantly gets his cash on his free Nexo Credit Card or through a same/next day bank transfer to his personal or business account. There are several options to repay the loan, and all take one click to arrange: 1) using fiat currencies (USD, EUR, etc. ), 2) using your NEXO Tokens to receive attractive discounts or 3) using а partial sale of his crypto assets at current market prices. Once the loan is repaid in part or in full, the available loan limits are instantly increased. It is quite obvious why Nexo’s Instant Crypto Loan facility is unique in its approach. We ensure instant access to cash, something that p2p loan platforms, where every borrower has to match a willing lender, cannot provide. The Nexo automated processes bridge that gap by extending loans in a smooth and uninterrupted matter, with zero waiting time, and transparent terms and conditions. Our team’s 10 years experience in online lending automation, combined with the considerable amount of requests for instant Crypto Loans, that the community has bombarded us with, gives us confidence that the Nexo enterprise is hugely scalable. The business model is self-sustainable in its own right, something that is scarce in today’s emerging crypto economic world. The entire ecosystem is constantly evolving and will continue to do so. It is a brave new world out there, where new types of assets are being tokenized every day and brought to the blockchain to be traded, transferred and borrowed against. Soon, various assets which were previously illiquid and idle will be tokenized, opening new possibilities for businesses to receive loans and get access to fiat currencies without selling their assets. This would contribute vastly to wealth creation on all levels in an unprecedented manner, ensuring that Nexo delivers efficiently The World’s First Instant Crypto-Backed Loans. How to get an Instant Crypto Loan ?